The National Association of Broadcasters trade show in Las Vegas will host the first public preview of brand new versions of Adobe's Production Premium video editing and motion graphics suite of programs, destined for Creative Suite 6 and its new Creative Cloud subscription service. These pre-release demos are sneak peeks at what will soon be in store for cinematographers, videographers, color technicians, motion graphics specialists, and a huge number of creative professionals connected to the movie-making industry in the upcoming Creative Suite releases. Among the programs planned for showcase to convention attendees are Premiere Pro, After Effects, Audition, Story, Media Encoder, Encore, and newcomers SpeedGrade, a film finishing and color grading app, and Prelude, for ingest, logging, and transcoding. 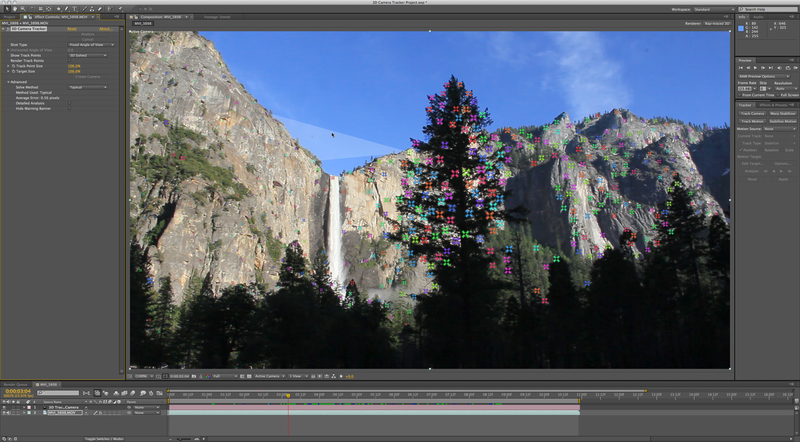 The impending release of Production Premium CS6 will provide a multitude of improvements to Adobe's video applications. Here are some of the highlights. Demos will take place at Adobe's booth #SL2624 in the Las Vegas Convention Center from April 16 through 19. Demos will also take place in more than 60 partner booths throughout the exhibition. Premiere Pro, Adobe’s flagship video editing software package, is targeted to a wide range of users, such as editors and post-production pros, motion graphics designers, visual artists, and photographers shooting video. Updates include both new features and improvements in interface, workflow, image stabilization, enhanced multicam editing, and a newly enhanced Mercury Playback Engine. The program provides native support for more pro level cameras and more powerful color workflows. 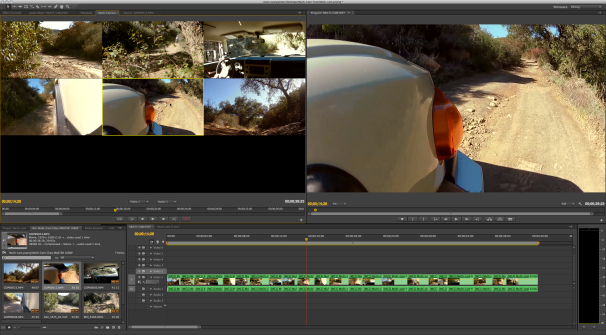 Interface enhancements The new version of Premiere Pro starts off with a new default two-up workspace, which positions the Source Monitor and the Program Monitor side by side to allow more room for the video display. The monitor panels have been redesigned to be less cluttered and more customizable. The Project panel, Media Browser, Info panel, and Effects panel are set at the lower left while the Timeline panel and Audio Meters panel are at the lower right. The original default workspace is still available from the Workspaces menu, and you can save customized workspace layouts with each project file. Taking a page from its sister app, the audio oriented Audition, Premiere Pro CS6 offers a redesigned and more functional audio mixer. Double-clicking a fader returns it to 0dB, and the mixer includes separate decibel-level scales for meters and faders. The mixer panel provides fast, accurate visual feedback about audio signal levels. Faders automatically scale when you resize the panel. New Project Panel views let you view, sort, and arrange your media more easily by viewing resizable 16:9 thumbnails of your clips directly in the Project panel. Also included are a resizable thumbnail view in the Media Browser panel and a new time ruler bar in the Source Monitor, Program Monitor, and Timeline panels. New markers are now displayed in color. Thumbnails are live-scrubbable for preview inside the Project Panel. Workflow improvements This version of Premiere Pro offers multiple improvements to trimming features. The new Trim Mode in the Program Monitor provides a two-up display showing the outgoing and incoming frames. Buttons for performing some trim functions and applying default transitions, as well as counters that can track the number of frames trimmed, are located beneath the two-up display. Additional workflow improvements include keyboard shortcuts for trimming, more customizeable keyboard shortcut sets, and gestural control. The program now updates sequence settings to match clips, lets you apply effects and adjustment layers quickly and easily, and offers enhanced flexible audio effects. Image stabilization Premiere Pro CS6 includes and improves upon a much-anticipated feature introduced in After Effects CS5.5—Warp Stabilizer. When you apply the Warp Stabilizer effect to a clip, the program takes care of the analysis and stabilization without further input. 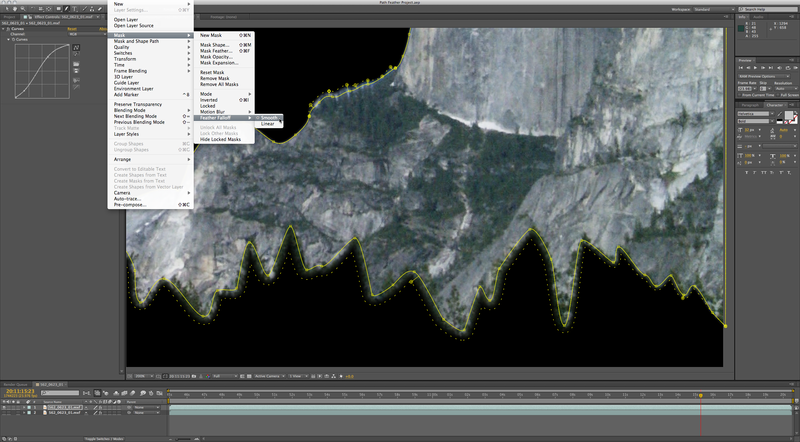 Warp Stabilizer processes individual areas of the frame separately to compensate for parallax. The same power Warp Stabilization controls previously only available in After Effects CS5.5 are now available in Premiere Pro CS6. Warp Stabilizer works in the background to analyze and stabilize a shot while allowing you to continue editing. Because Warp Stabilizer is optimized to take advantage of GPU acceleration, users with supported Nvidia GPUs or some MacBook Pros running OS X 10.7 with a supported AMD RadeonTM GPU and a minimum of 1GB of VRAM, will see even better performance. The new Rolling Shutter Repair effect allows you to correct distortion artifacts that result from scanning a CMOS imaging sensor, typically presented in DSLR footage, vertically or horizontally. during recording to correct problems like wobble, skew, and smear. Expanded multicam editing The new version of Adobe Premiere Pro offers expanded multicam support, allowing you to work with as many cameras as you want. Previously, you could work with multicam footage from four cameras. Now, you’re limited only by the formats you’re working with and the power of your editing computer. Premiere Pro CS6 has better Multi-Camera support, with many more simultaneous cameras selectable in the monitor. The Multi-Camera Monitor plays the footage from each camera in a grid that automatically adjusts to accomodate the number of cameras in your shoot and a preview of the recorded sequence. After you’ve created a multicam edit, you can refine it either by re-performing sections of your edit from within the Multi-Camera Monitor or by using traditional editing tools, applying effects, or correcting color. Live video scrubbing in the scaleable thumbnails inside the new Clip Bin. Mercury Playback Engine If you're familiar with Premiere Pro CS5 or CS5.5, you already know the Mercury Playback Engine, technology that uses the graphics processor rather than CPU to boost video editing performance. GPU acceleration via supported Nvidia graphics cards and new support for OpenCL-based AMD Radeon HD 6750M and AMD Radeon HD 6770M graphics cards—coupled with at least 1GB VRAM on certain MacBook Pros running OS X 10.7—offer improved mobile workflows to Mac users, according to Adobe. You can send your entire Premiere Pro CS6 sequence to SpeedGrade for professional color grading in the raw, native formats without having to render first. With these cards, you will see results instantly when vector keying with the Ultra keyer, applying blend modes, correcting color with PremierePro's new Three-Way Color Corrector, and with many other effects. The new version also features expanded third-party I/O support for vendors like Aja, Black Magic Design, Matrox, and others. Native footage support With this release, Premiere Pro gets native support for ARRIRAW footage shot with ARRI Alexa cameras as well as support for HD (1920-by-1080) and 2K (2880-by-1680) ARRIRAW files at a variety of frame rates. Building on its support for RED digital cinema workflows, Adobe Premiere Pro CS6 includes native support for RED R3D and RMD files—including 5K resolution footage—shot with RED SCARLET-X and RED EPIC cameras. There's also native support for Canon XF MPEG-2 50mbps format footage shot with Canon Cinema EOS C300 cameras. Suite interaction The new version of Premiere Pro CS6 offers a more intuitive three-way color corrector, integrated color grading workflows with the new Adobe SpeedGrade, efficient ingest and logging with Adobe Prelude, improved, workflows with Apple's Final Cut Pro and Avid software, and the ability to author and publish DVDs, Blu-ray discs, and Web DVDs faster with 64-bit Adobe Encore CS6. 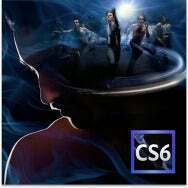 After Effects CS6 is a new version of Adobe’s motion graphics software targeted to visual effects artists, video editors, post production professionals, and interactive designers. New features include global performance cache, 3D Camera Tracker, a revamped Ray Trace 3D rendering engine, variable mask feathering, Pro Import After Effects, and more. Global performance cache This feature is an under-the-hood improvement that lets After Effects take full advantage of computer hardware. Its technologies include global RAM cache, persistent disk cache, and a new graphics pipeline. The program's improved frame caching system allows you to reuse elements and experiment with ideas without having to wait for a previously created frame to re-render. With persistent disk cache, After Effects CS6 lets you reopen an earlier project with your previously rendered cache still intact, and ready for immediate preview, playback, and rendering. 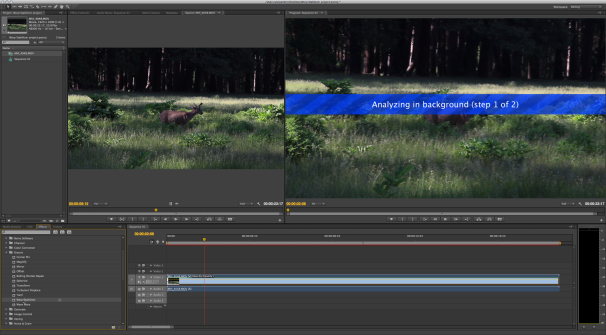 You can also render and cache a composition’s work area to disk in the background while you continue to work. With the new graphics pipeline, After Effects CS6 makes better use of OpenGL and your computer's video card when drawing images to the screen. You get faster interactivity, a more responsive work environment, and a smoother, more immediate experience, Adobe says. 3D Camera Tracker The new 3D Camera Tracker effect automatically analyzes the motion in 2D footage and computes the position, orientation, and field of view of the actual camera that shot the scene and creates a new 3D camera in After Effects to match it. It also overlays 3D track points onto the 2D footage, making it easy and intuitive for you to attach new 3D After Effects layers onto the original footage. 3D Camera Tracker analyses and creates track points in depth within footage. 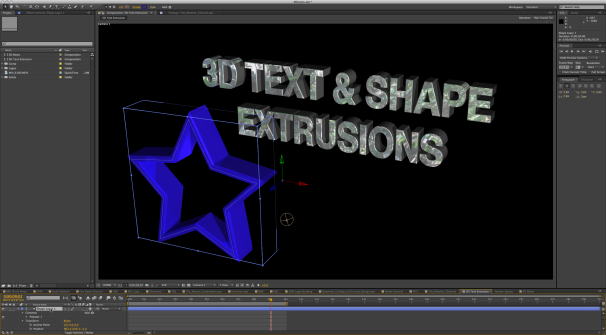 Ray Trace 3D engine After Effects CS6 introduces a new Ray-Traced 3D rendering engine, allowing you to quickly design fully ray-traced, geometric text and shape layers in 3D. Enhanced 3D capabilities include beveled and extruded text and shape layers, the ability to bend footage and composition layers, adding dimension for more interesting lighting effects; and environment map support for photorealistic reflections of virtual imagery. Additional material options include reflection, transparency, and index of refraction to mimic light traveling through glass and other translucent materials. 3D Text and shape extrusions can also be applied to converted Illustrator layers. Variable Mask Feathering With the new Variable Mask Feathering, you can work precisely and create the exact shape you want with the proper degree of softness at the edges, yielding more realistic composites. After Effects has long had the ability to add a feathered soft edge to masked shapes, but in previous versions the width of the feather was the same around the entire mask. After Effects CS6 contains a new Mask Feather tool that lets you define almost an infinite number of points along a closed mask, and define the width of the feather at each of these points. Variable edge feathering along mask paths. An advanced Rolling Shutter Repair effect contains two different selectable algorithms to help fix problematic footage. After Effects CS6 also makes it easier to enhance the production value of your projects, with more than 80 new and updated built-in effects. 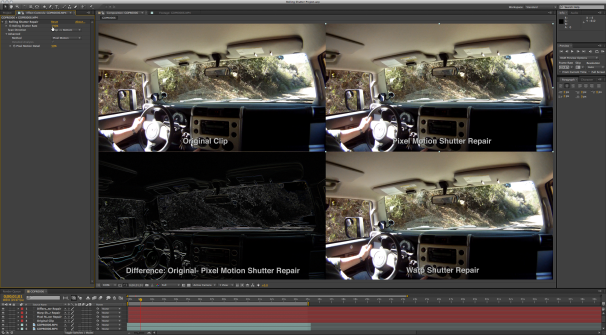 Rolling Shutter repair for DSLR footage. 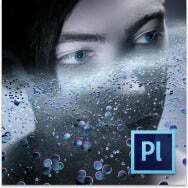 Pro Import After Effects Previously available as a separate product from Automatic Duck, Pro Import After Effects is now included with After Effects CS6. In addition to the integration with Adobe Premiere Pro CS6 software inside the Adobe Creative Suite 6 Production Premium and Master Collection, this utility plugs After Effects into any professional production workflow. It lets you import and work with Avid Media Composer and Symphony files, as well as XML files from Apple Final Cut Pro 7 or earlier versions. It translates many effects and parameters from supported Avid and Apple files into After Effects, including position, scale, rotation, keyframes, composite modes, titles, speed changes, and more. 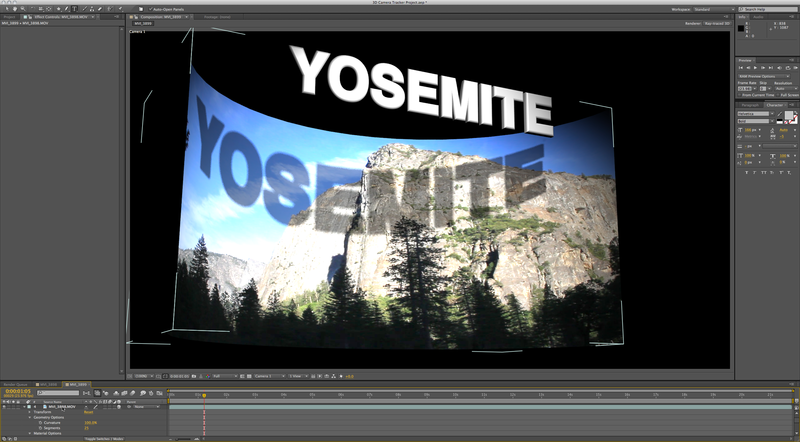 3D comp and footage layers can now be bent. 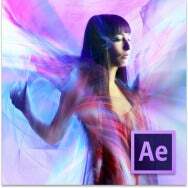 Improved mocha workflow After Effects CS6 now includes a Track In mocha AE menu command that lets you launch mocha AE directly from within the program. That lets you immediately begin working with the per-vertex feathering and other masking tools available in mocha AE, as well as in mocha shape. Adobe Prelude CS6 provides a unified interface for ingest and logging workflows, allowing you to work faster, stay organized, and streamline your production process. This software lets you copy and transcode to your storage infrastructure and begin logging immediately, adding searchable markers and other metadata. 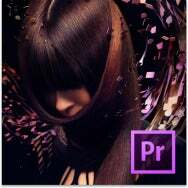 It also creates rough cuts with post-production notes that flow into Adobe Premiere Pro CS6, to communicate the vision for the project through final editing. 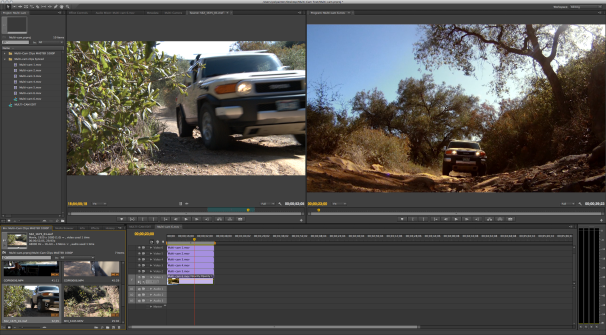 Full or partial ingest Prelude CS6 lets you ingest all your footage at once, or select and ingest just a portion of it. 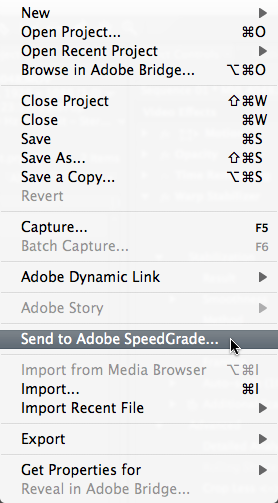 You also have the option to transcode the files to your preferred format.